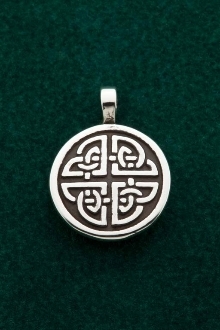 Small Shield Knot of Protection Pendant. Sterling Silver. Knot patterns that are unified with one single strand are seen as protection symbols. A single strand within a pattern can be viewed as not letting outside forces in, and in turn creating security or protection.